The northbound lanes of Chicago's Lake Shore Drive at the Chicago River were reopened to traffic Feb. 12 after the discovery of two cracked steel beams used to support the roadway forced it to close for a day, the AP reported. Chicago Department of Transportation Commissioner Rebekah Scheinfeld said the damage was caused in part by the extreme changes in weather and that the city would erect several steel towers to support the bridge while permanent repairs were being made. Crews making traffic signal repairs first noticed the cracks Feb. 11, when an unexpected amount of corrosion also was discovered, Scheinfeld said. The broken beams caused traffic stoppages during the Feb. 11 evening rush hour. The bridge was closed for 26 hours and reopened in time for the evening rush hour Feb. 12. Officials say the bridge usually handles about 60,000 vehicles a day. According to a report in The Chicago Tribune, the 33-year-old bridge was not among the most worrisome in the area. It was rated in "fair" condition at its last inspection in June 2017, while 400 out of 3,460 bridges in the six-county Chicago area are currently listed as "structurally deficient" — that is, they are in need of repair or replacement. 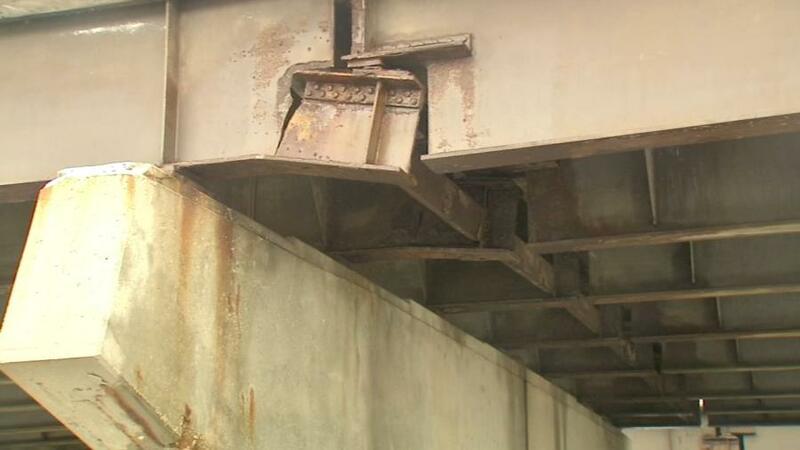 The damage to the Lake Shore Drive bridge, located at Randolph Drive just south of the river, was caused by corrosion exacerbated by the extreme weather conditions, Scheinfeld told the Tribune. Mark Barkowski, a senior vice president with the F.H. Paschen construction company, which worked on the Lake Shore Drive bridge repairs, told the Tribune one of the beams that cracked under the Drive was especially vulnerable to the weather extremes because it faced outward and was thus exposed to both Lake Michigan and the sun. Temperature swings caused the steel to contract and then rapidly expand, Barkowski said. Barkowski, who also is chairman of the Illinois Road & Transportation Builders Association, warned of other dangers in the area — particularly the bridges along I-80 from I-55 to I-294. For example, the westbound section of I-80 over the Des Plaines River has a "sufficiency" rating of 6 out of 100, the lowest for an interstate in the Chicago area, while the eastbound is only slightly better, with a score of 7.4, the Tribune stated. The Illinois DOT has been planning to replace the bridges as part of a larger renovation of that section of I-80. According to the American Road & Transportation Builders Association, which used Federal Highway Administration figures, 2,303 bridges in Illinois, or 8.6 percent of the state's total, were "structurally deficient" in 2017, the last year for which data are available. The figure makes Illinois fifth in the nation in the number of its structurally deficient bridges.